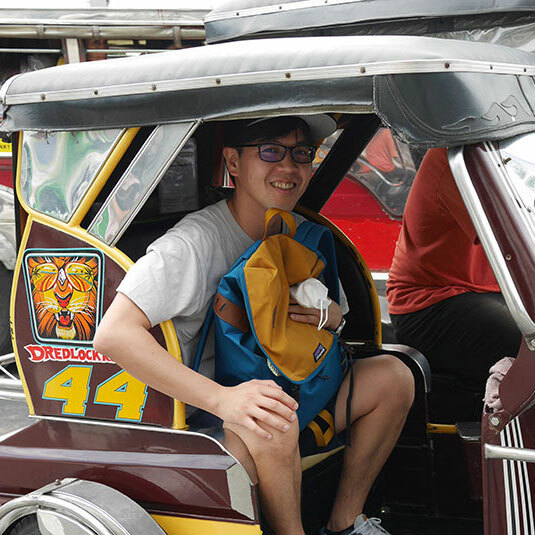 Finally, this is the last post about day one in Manila. I’m starting to worry about whether I will be able to cover all of my destinations at such a pace, but anyway I’ll try to keep going. Saying goodbye to the living legend, I’m headed next to an area called, “Cubao Expo”. Here we are at Post. The space is stylish, with two floors. 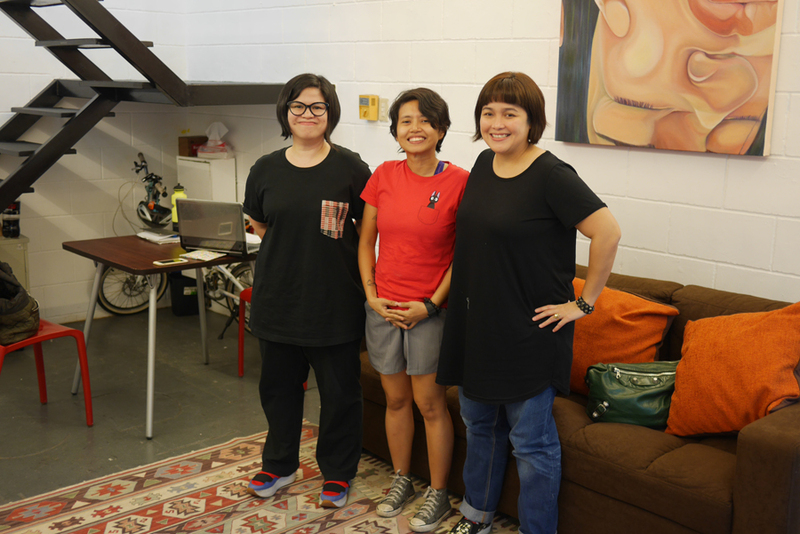 The directors Ms. Osie Tiangco-Ocampo （right）, and Ms. Yo Garcia （left） as well as the curator Ms. Lena Cobangbang （center） welcome me. At first, the two directors who both specialize in architecture were planning to establish a space for displaying design works, but through a series of coincidental happenings, it became a space for promoting contemporary art. 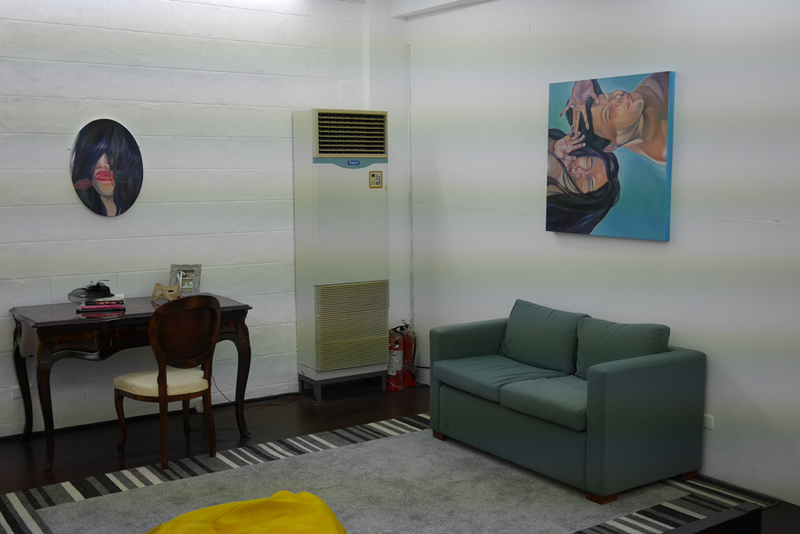 Today, the two are also managing a commercial gallery called “Pablo” in the town of Taguig. What a pair of go-getters! They say that “Post” is a project-space where they can do more challenging things, things that they can’t do at “Pablo” such as: exhibitions by young artists, experimental projects, live music performances and talk events etc. It is a space for alternative projects. The gallery is located on the second floor. At the time of my visit, there is an installation on display, filling the entire gallery space. I’m impressed that they can run this huge place, whilst also managing another one in Taguig…. Moreover, they seem to be almost the same age as me. It’s just… so amazing. 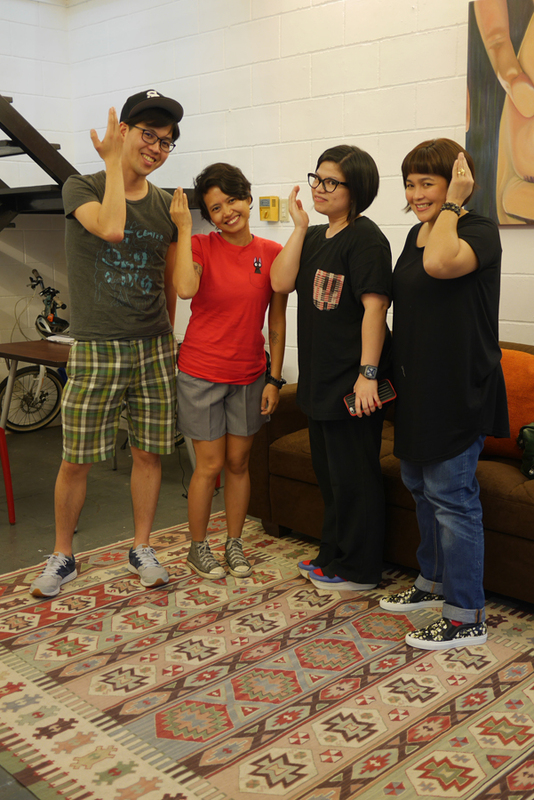 On asking them about which kinds of people visit the space, they tell me that it attracts musicians, designers and other artistic types etc. One thing that surprised me about young artists in Manila is that they all seem to cross genres and be connected with one another. In Japan, musicians, performers, dancers and artists tend to focus on their own genres. It’s surprisingly rare for people to be interested in fields outside of their own specialities in Japan. Listening to them talk about their opening receptions, they say that artists from a wide variety of different fields show up. Even during our discussion, the owner of a Cubao Expo skate shop shows up and I can really feel the openness of Manila’s art scene. It would be great if people from such diverse fields could also gather and mix like this in Japan. 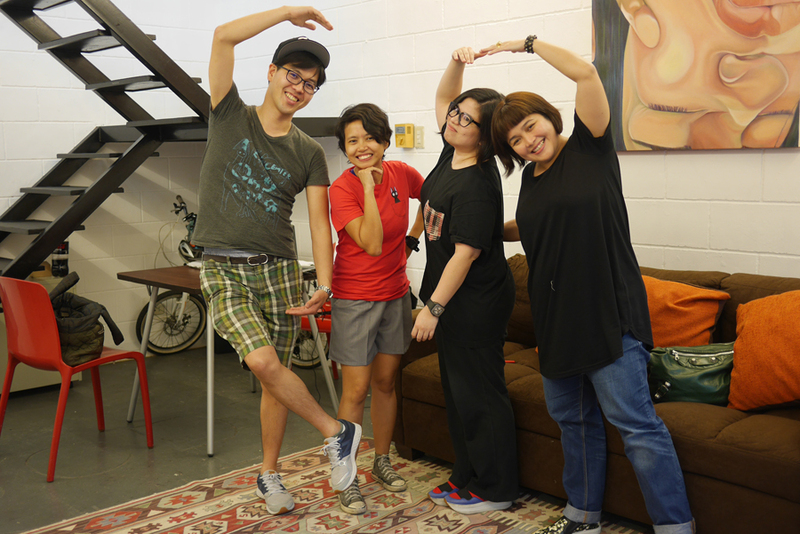 In the end, we take a photo together assuming Japanese and Filipino traditional poses. 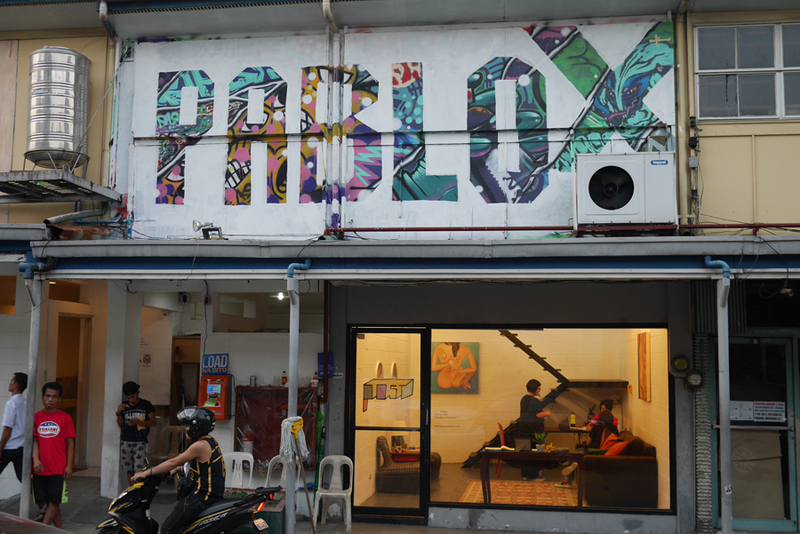 When you come to the Cubao Expo, Manila’s Daikanyama, you should stop by Post. Finally, the research for my first day in Manila is complete. Haha I’m already so tired!! Facility and Activity: Gallery, Workshop, Talk, etc.